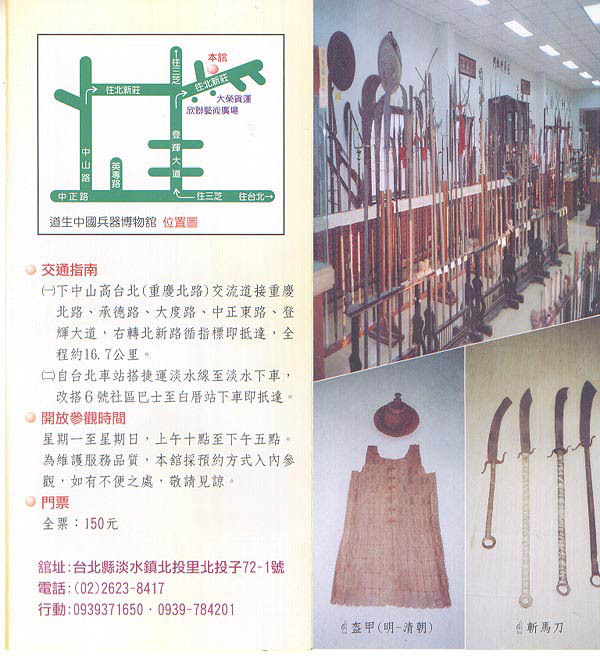 Dao-sheng Chinese Museum is not only the first professional museum that displays modem weapons, contemporary Chinese weapons, Ming-ching Dynasty weapons. Art of Lion Masks, and well stocks of Chinese Martial Arts but also the only one collecting Chinese weapons here in Taiwan. 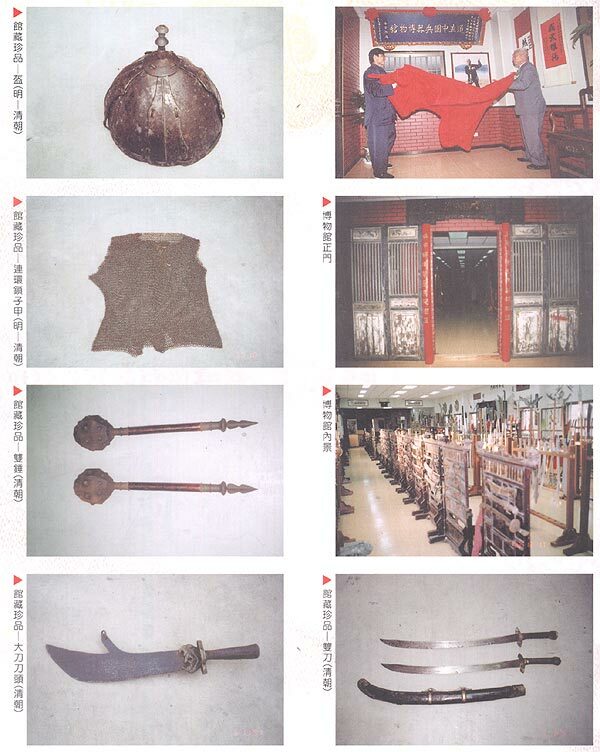 With the professional guides in the museum, we want to provide visitors an opportunity to immerse themselves in the world of Chinese Martial Arts, in which they will also have an access to the development of war models, the inventions and implementations of weapons used in the battlefield in ancient times. Our goal is to provide visitors with a picture of what brings up the profound culture of Chinese Martial Arts through the exhibitions in this museum.